Over 3.2 million views, over 500,000 hours (55 years!) watching time, almost 1 million exposures to the campaign in SM Intel Polska channels, almost 100,000 unique viewings of expert articles on iQ.intel.pl (average time of 13 minutes) and 236,000 clicks to the landing page with the product offer. The video series and articles authored by Krzysztof Gonciarz were debated for months by Polish internet users. The campaign was also recognised in a number of contests, winning seven industry awards (the Main Prize for Content Marketing-Branded Content of the Independent Creation Contest – Kreatura; two Golden Clips: Silver in Content Marketing and Technology, IT and Telecommunications; four Grand Video Awards for Video tutorial and Lifestyle; two Creators Video Awards for Campaign of the Year and Video of the Year). Our challenge was to reach the demanding target group of media creators (video creators and people contemplating a new adventure with video creation and editing) and convince them that the best videos are made with Intel. The positioning of Intel as a company providing the means to create top quality video, release creativity and abolish limitations; presentation of Intel media creation technology and products (Intel Core processors, SSDs, high performance desktops and laptops) to video content creators. 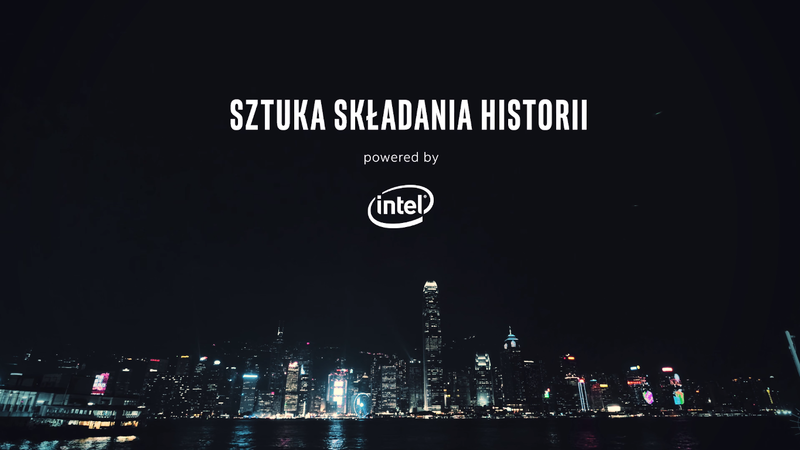 “The art of storytelling – Powered by Intel” was a multi-channel campaign targeted at media creators. The core of the campaign was nine high quality film materials showing how to tell stories and how technology can help to open up new narrative dimensions; the dimensions of art and emotions. The campaign was executed based on the so-called owned media (the iQ.intek.plblog and Intel Polska's own social media channels: Facebook and Twitter) and paid media (Krzysztof Gonciarz's social media channels: YouTube, Facebook and Twitter). The cooperation with Krzysztof Gonciarz, one of the most renowned internet creators in Poland and an authority on multimedia creation, ensured the desired reach of the communications and lent credibility to the campaign's key messages.